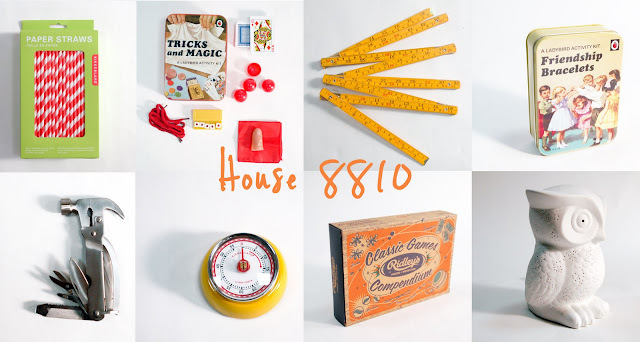 House 8810: JUST ARRIVED: New items we know you'll love! JUST ARRIVED: New items we know you'll love! Check out the new items that were Just Delivered to House 8810!! We are so excited that some of the brand new items we picked out during the January Gift shows have arrived! Be sure to check back often as more new goodies are due to arrive any day now! We have several items for little ones, around the house, and in the kitchen! It's like Christmas, except exchange one Jolly Ol' Saint Nick and 9 prancing reindeer for one UPS man and a dirty truck!